The Airport Mesa is a hiking loop around Table Top Mountain through basalt boulders & red rocks to panoramic views from the Tabletop Plateau. Officially called the Airport Loop Trail, this well-worn, marked, and easy to follow 3.3 mile loop makes for a good hike/walk/run. There are a couple of short, steep sections, with grades of 7-10%. This route is best done early in the morning, to avoid the heat and the crowds, but the views are beautiful any time of day. 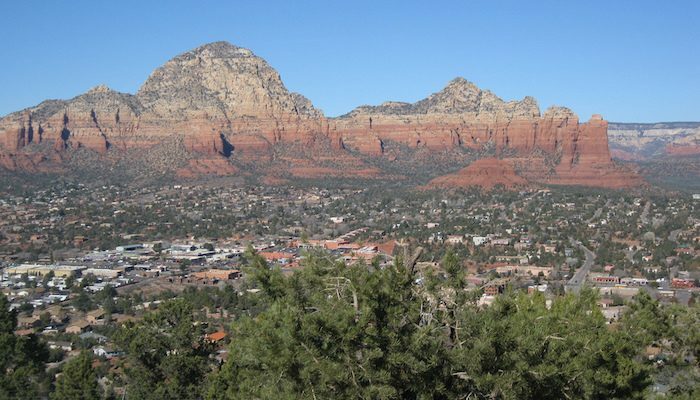 Add-On: The Sedona View Trail is a nice 1.2 mile out and back add-on, leading to the Sedona Airport Overlook. The first half of the trail is steep.